A ‘BACARDÍ® Legacy cocktail’ is more than just a great tasting drink: it is a drink that stands the test of time and becomes established in the industry. The BACARDÍ® Legacy Cocktail Competition aims to challenge bartenders from around the world to find the BACARDÍ® rum cocktail with the greatest potential to establish itself as a classic and join the pantheon of BACARDÍ® Legacy cocktails alongside the Mojito, Daiquirí and Old Cuban before it. 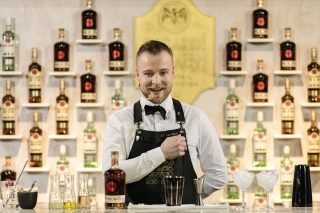 BACARDÍ® Legacy is a cocktail competition with various local (national or regional) and global stages. It begins locally in each participating country and culminates in a global final in which each BACARDÍ® Legacy National Champion competes to become the BACARDÍ® Legacy Global Champion. It includes a fundamentally important promotional phase, in which bartenders are challenged to demonstrate that their drink has the potential to become established in the drinks industry as a true classic by securing trial, consumer and trade awareness and distribution. 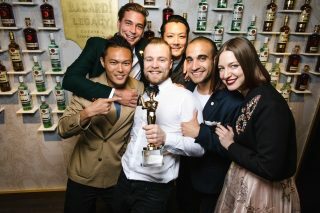 The BACARDÍ® Legacy Cocktail Competition National stage in a specific country is organised and offered by (“Local Bacardi Promoter”). Its Global stage is organised and offered by Bacardi-Martini B.V. of Groningenweg 8, 2803 PV Gouda, the Netherlands (“Global Bacardi Promoter”). or the Legacy Competition or simply as the Competition. (b) their of work must have a bar with permanent availability of the BACARDÍ® rum variant used in the BACARDÍ® Legacy cocktail they created. The local Bacardi promoter will decide in its sole discretion whether the applications fulfil these entry requirements. The previous BACARDÍ® Legacy Cocktail Competition National Champions will be ineligible to enter the next Legacy Competition in the immediately following year. They will however be able to compete again in subsequent Competition years. Employees of any Bacardi Group Company or of any distributor appointed by any Bacardi Group Company, as well as their immediate family (spouse, parent, siblings, and children) and household members of those employees are not eligible to enter.